Rendezvous Mountain Rentals is the most established vacation rental and property management company in Jackson Hole. Established in 1997, Rendezvous Mountain Rentals is celebrating 20 years of excellent service. Rendezvous Mountain Rentals exclusively manages properties on the West Bank, specifically properties in Teton Village, Aspens, and the Pines. A vacation to Jackson Hole comes with expectations — and Rendezvous Mountain Rentals will exceed them. We have curated a portfolio of the best properties on the West Bank, constantly updating the properties with all the conveniences of home, from household appliances to linens. We have a property to match everyone’s needs and budget. We also understand that your Jackson Hole vacation isn’t just about your vacation rental — it’s about experiencing all of the wonderful activities Jackson Hole has to offer. You can now purchase ski lift tickets and book your favorite Jackson Hole activities directly through Rendezvous Mountain Rentals when you make your vacation rental reservation. Most of our properties are conveniently located within minutes of Jackson Hole’s premier shopping and fine dining, Jackson Hole Mountain Resort, and Grand Teton National Park, which serves as an easy route to Yellowstone National Park. Our focus on properties on the West Bank allows us to go above and beyond in terms of response times and care. In fact, we offer 24/7 support to guests and properties. This convenience is made possible by our West Bank location, full-time maintenance and housekeeping staff, and relationships with local vendors. Our property management and guest service professionals know how to make ownership easy — and vacations once-in-a-lifetime. 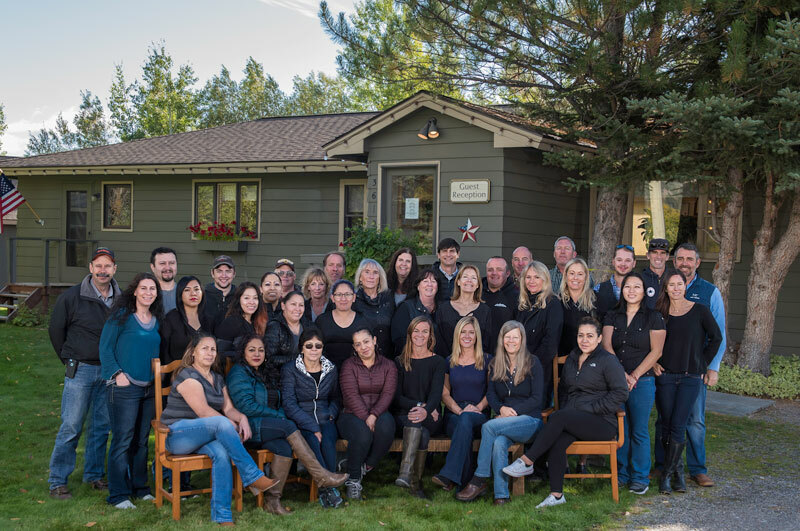 Most of our 35-member staff have lived in the Jackson Hole area for over a decade each. Our “locals” will help you find the right vacation rental for your size and budget and have you returning to Wyoming time and time again.